Generator and engine were not started in my presence. No sign of solar panels but a solar charge controller was seen. Air conditioning units are in place but have not been tested. The chain is 13mm with very little use. She was damaged in Irma through a puncture in the deck. I believe only rain water got in and then she lay on her side for a short time before she was righted and cleaned up. The rig came down so would need replacement. I have just witnessed the boat motoring no problem. Bow thruster is working. Integrity of hull not seen but remains dry inside. The deck damage on the starboard side is between bulkheads, almost neatly in the aft wet head space. Structural and cosmetic deck repairs would be needed. 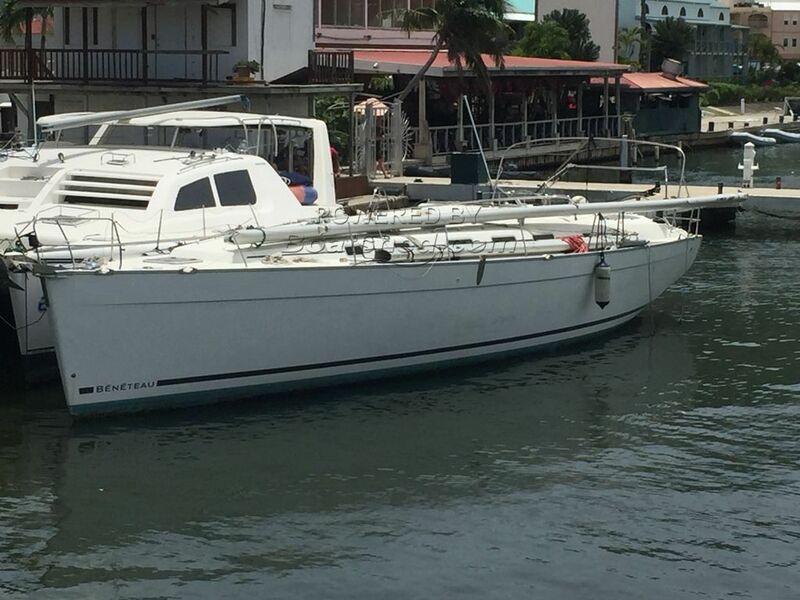 Owner has various choices of dinghies and outboards that could be looked at to purchase. This Beneteau Cyclades 50.4 has been personally photographed and viewed by Justin Smit of Boatshed BVI. Click here for contact details.